The Healing Rooms of the Santa Maria Valley (HRSMV) provide a loving, safe, confidential environment where you can come to receive healing prayer. Some are healed instantly by a miraculous touch from God. Others receive their healing progressively over a period of days, weeks or months. We are committed to pray for you for as long as it takes, contending for your healing until you are completely well! We minister salvation, physical healing and emotional healing to the complete person (spirit, soul and body). 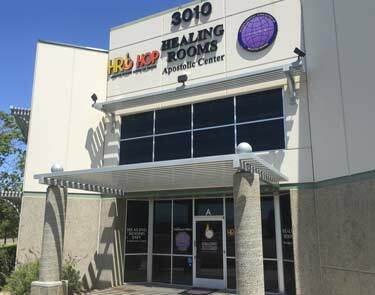 Our Healing Rooms team consists of many Christians from several different churches on the Central Coast of California. A family atmosphere of love and unity permeates the team, although we attend churches as diverse as Assembly of God, Baptist, Foursquare, Nazarene, Presbyterian, Roman Catholic, Vineyard, and various independent fellowships. Assembling in small groups of two or three to pray for the sick, the Holy Spirit can flow through us as a team. There is only one “super-star” in our midst: Jesus!